Stunning home located on a conservation lot, in a cul-de-sac in the gated community of Diamond Hills. Location, location, location! This Ryland Home Charleston II is a 5BD/4.5BA, 6 car garage, pool home which has it all. There is definite pride in ownership in this home. 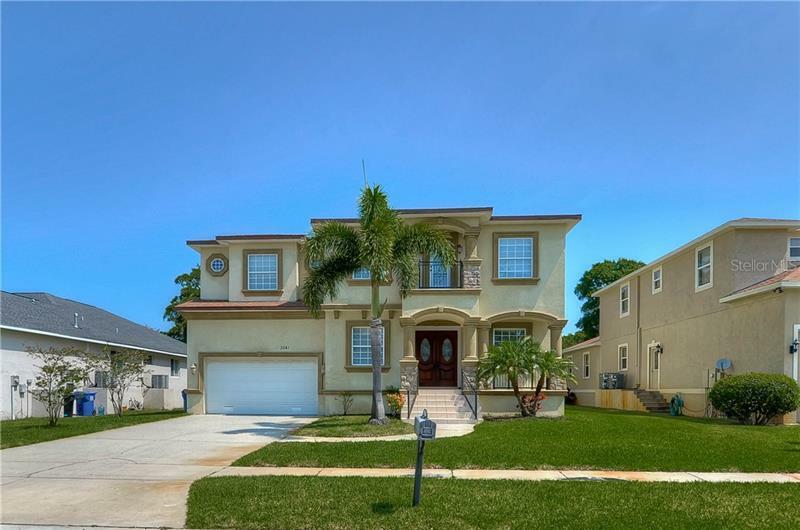 If you have a love for cars you will love that this is the home features a 6 car garage! Multiple upgrades throughout. Quartz countertops in the Kitchen as well as upgraded appliances. Surround sound with intercom system, upgraded insulation including the garages R-30, the lanai ceiling has R-19, pool is solar heated and features a propane spa and blower. Zoned air conditioner system features a quite zone, Owens Corning acoustic batts in the interior walls. Exterior walls have a tailored foam insulation pressure injected in them. There is a silver shield radiant barrier installed throughout the home. OnQ office education center. Bring your golf cart...one of the garages has a golf cart charger waiting for you. This community has a lot to offer. You definitely won't be bored. There is golf to be played, tennis, basketball, a remodeled fitness center, and recently updated heated community pool.